Discover the flexibility and quality of USF Health’s online programs. Learn more about our degree and certificate programs, tuition and the advantages of online learning. 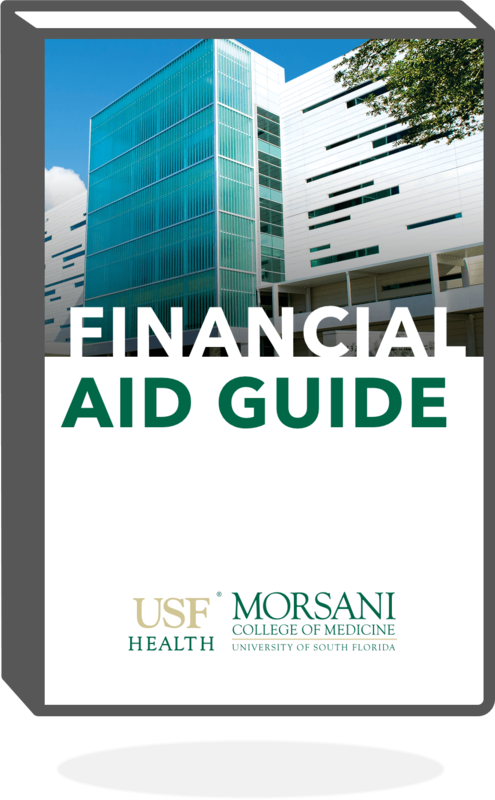 Receive articles on career advice, online education, industry data, and USF Health. Why Choose USF’s MSHI Program? Consistently rated as one of the best in the nation, the online Master of Science in Health Informatics (MSHI) program from USF Health’s Morsani College of Medicine at the University of South Florida is a prestigious path to pursue for anyone seeking an MSHI degree. But what sets it apart from other online programs ranked highly by sites such as Best Colleges, The Best Schools and College Choice? That question was posed to Dr. Athanasios Tsalatsanis, a professor of health informatics at USF Health. Tsalatsanis, along with Dr. Michael Barber, is co-director of USF’s health informatics programs. The MSHI and its recently added MSHI Healthcare Analytics concentration, as well as programs for graduate certificates in health informatics and healthcare analytics, are the only programs of their kind offered through a medical school. It’s a distinction, to be sure, but what are its advantages? According to Tsalatsanis, the programs’ medical school setting creates a focus on improved care and better patient outcomes. USF Health’s programs emphasize the medical impact health IT can have rather than the data itself. Another distinction, Tsalatsanis said, is the faculty. Most professors are USF or USF Health faculty as opposed to adjuncts. Faculty members can offer instruction on health informatics topics from a wide range of specialties including legal, engineering, data application, biology, genetics and more. Many are nationally recognized physicians and researchers. Tsalatsanis’ background is in industrial engineering, but his fascination with health IT has led him to become an experienced researcher in the field, as well as in medical decision making, with more than 40 published articles and abstracts. “We teach in the areas of our expertise, and while our research and work areas come from different disciplines, we are housed at the same institution and interact regularly to discuss the educational needs and performance of both programs. This creates a cohesive experience for our students,” Tsalatsanis said. The Health IT programs have been recognized by Healthcare Information and Management Systems Society (HIMSS), a not-for-profit organization that is devoted to improving healthcare through the use of information technology. USF Health is a HIMSS Approved Education Partner (AEP), showing that it meets HIMSS’ standards for world-class, effective healthcare and health IT education. Besides the prestige associated with this distinction, being a student of a HIMSS AEP program gives students access to exam preparation materials for two HIMSS certifications: CAHIMS (Certified Associate in Healthcare Information and Management Systems) and CPHIMS (Certified Professional in Healthcare Information and Management Systems). CAHIMS is aimed at new entries into the health IT field, while CPHIMS is geared toward those with more experience who are looking to move into management. Employers often require employees to earn and maintain professional certification, so the materials available to USF Health students could prove valuable in a job search. In addition, USF Health’s Graduate Certificate in Healthcare Analytics is SAS approved. SAS is the undisputed leader in analytics software.